Mobile photography is a reality, which can turn to be the only camera with you at certain situation, here is how to take good pictures with Mobile Phones. With most of the smartphones we have right now in our pockets, we can not only can just take simple snapshots but can take really beautiful photos. But, as you know, the smartphones on a technical level have major limitations as a camera, especially when we are looking for a good level of control. 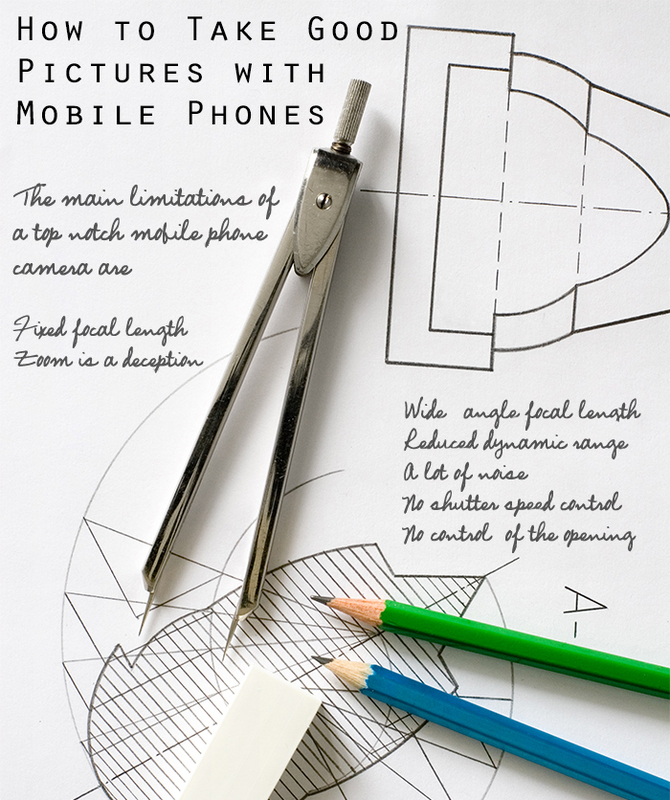 To get the most out from the mobile phone, from photographic point of view, you must know the tool in your hand and turn these limitations in your favor. So, in this article we will give you some tips to take good pictures with the phone (or smartphone, to be more precise), despite its limitations. Also you can read other two helpful article we published before – 1) Ultimate Checklist For Mobile Phone Photography 2) Get The Best Result from Mobile Phone Camera. How to Take Good Pictures with Mobile Phones : What Are Really in Your Pocket? As we always say – it is important to know the instrument which you are using by heart with all its limitations. The resolution, however, is always less than a limit over time. At the time of writing this post (August 2013), many smartphones have an 8-megapixel camera and some top models exceed this value. If you do not practice aggressive clippings, this is a resolution that also allows you to print photos in rather generous size. Now we will turn towards the advices. When photographing with an DSLR camera or even a compact digital camera with manual controls, each photo will require some preparation. You have to think about the focus, ISO, exposure time, openness, focal length, etc. With the cell phone that is almost impossible – some can be changed but the changing + 1 or -1 for example, is too harsh – they are not very precise. Certainly this is a limitation. On the other hand, however, you can also see the point and shoot nature as an advantage. Taking pictures with the phone prohibits you for wasting time on all of these issues and leaves you more time and effort to be devoted to the fundamentals of photography : light and composition. In fact, if you want really want nice photo with the phone you will definitely need to master these two aspects. In addition, the imposition of limits on your photographic activity stimulates creativity exercise on the possibilities by a DSLR. This is actually good, because it means that you are forced to practice more in composition and recognize to make the most of the light, which is always essential in photography. Obviously, all the rules of composition in photography is not fully valid when you are shooting with your phone. So, always take into account the rule of thirds, the golden section, the use of horizontal, vertical and oblique lines – search our website with each of these terms if you want to learn more. We will advise you to read the articles on photographic composition appeared on this site. But there are some special points of the photograph with the phone that we can treat them separately. Still life and food photography which is not too close. On the contrary, with this focal length push you against taking close-up portraits, unless you specifically do not want to create the big nose effect. In fact, in close ups, 33mm inevitably swell the nose and space out the eyes, it does not make people looking great – kind of Fish Eye effect. Even sports photography is not possible to phones, because they often do not have the right exposure times and certainly not fast enough to freeze the action. Well, as we usually do – here is next part of the article. This Article Has Been Shared 5587 Times! Cite this article as: Abhishek Ghosh, "How to Take Good Pictures with Mobile Phones : Know the Limits," in The Customize Windows, August 6, 2013, April 23, 2019, https://thecustomizewindows.com/2013/08/how-to-take-good-pictures-with-mobile-phones-know-the-limits/.